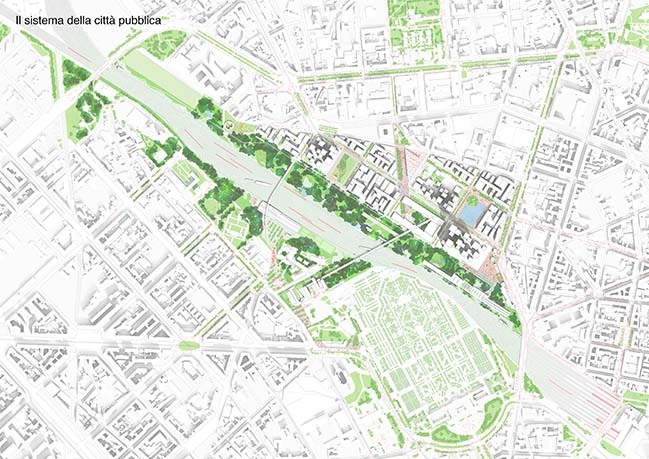 Agenti Climatici (Climatic Agents), the masterplan by OMA's Ippolito Pestellini Laparelli and Reinier de Graaf, co-designed with Laboratorio Permanente, has won the Concorso Farini competition for the redevelopment of the scalo Farini and San Cristoforo sites, two disused railway yards North and South of the periphery of Milan. 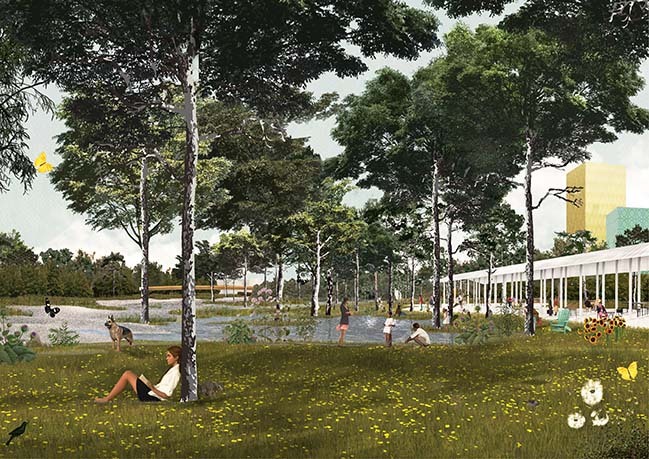 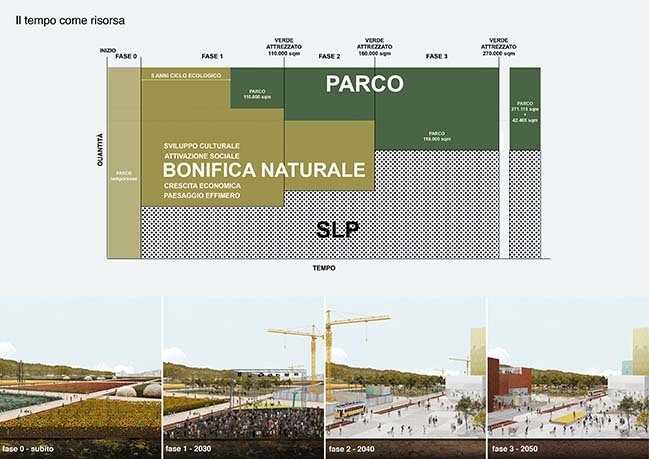 From the architect: The Agenti Climatici proposal designates the Scalo Farini site as a green zone and the San Cristoforo site as a blue zone. 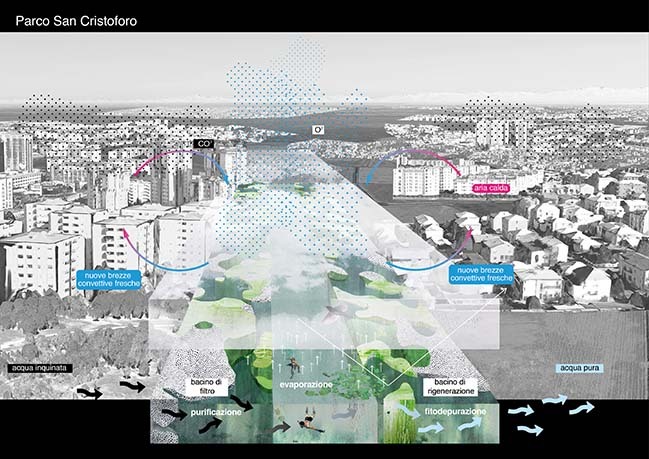 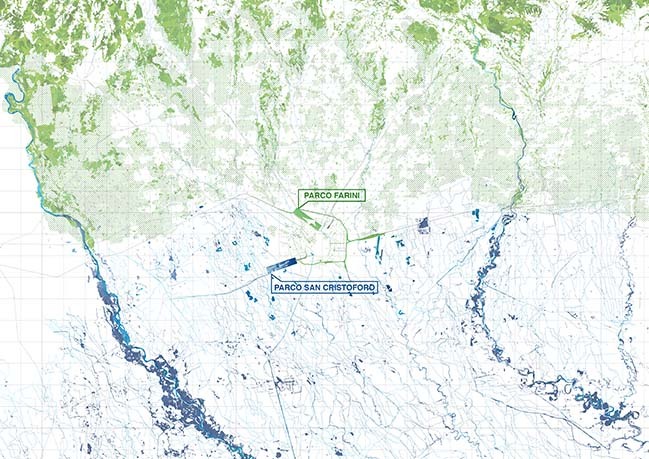 Both work as ecological filters: the green zone contains a vast park which cools hot winds coming from the south-west, purifying the air of toxic particles; the large basin in the blue zone cleans the groundwater and creates a landscape for both humans and animals. 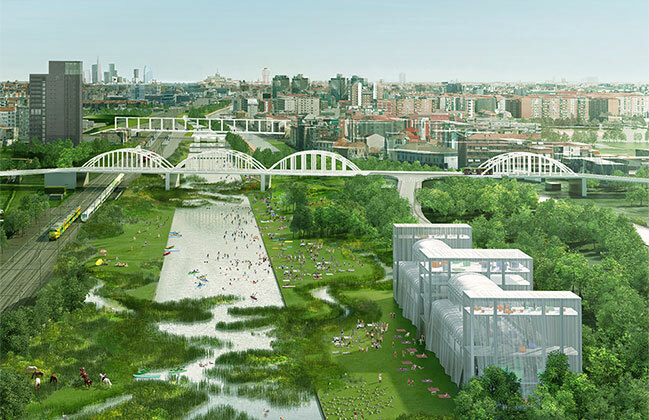 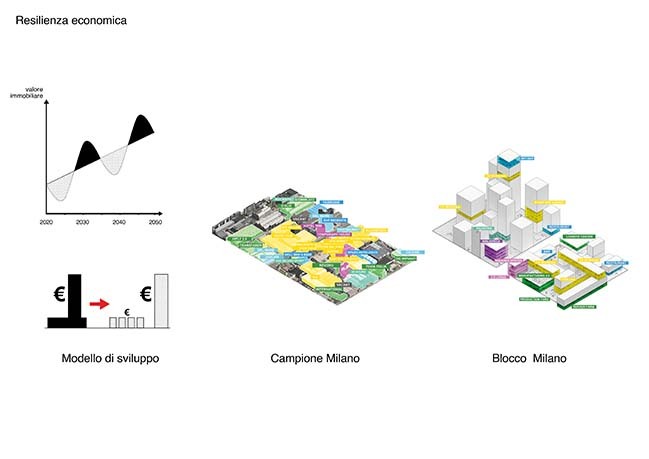 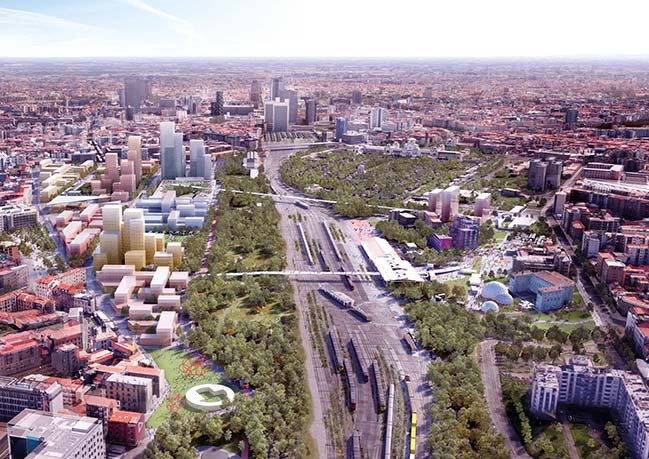 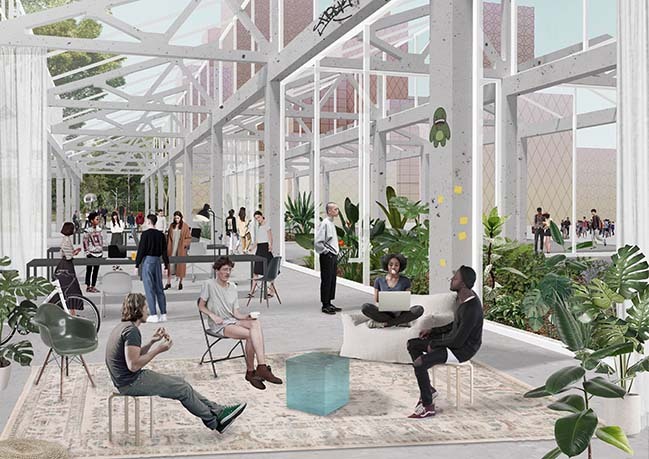 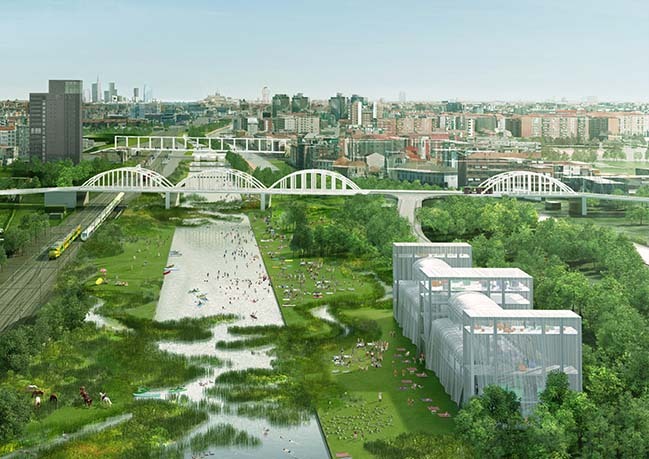 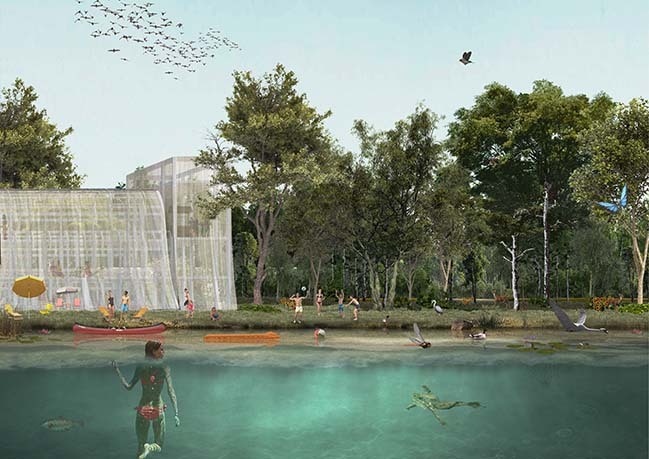 These two new zones regenerate the ecology of Milan by providing clean air and water, addressing climate change and pollution on a metropolitan scale. 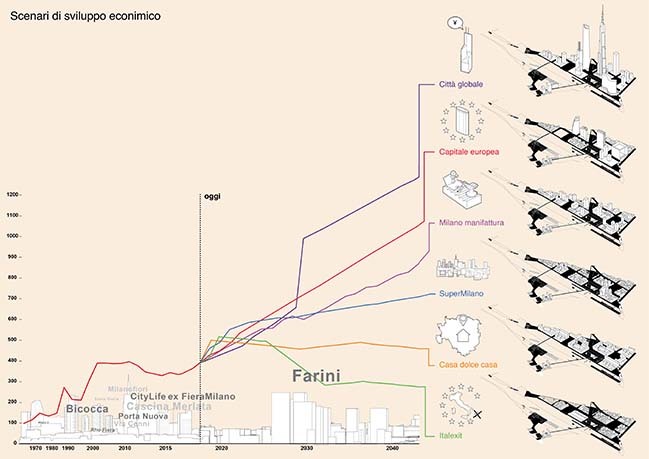 Ippolito Pestellini Laparelli: "In a moment of dramatic environmental transformation and permanent economic uncertainty, our priorities have changed. 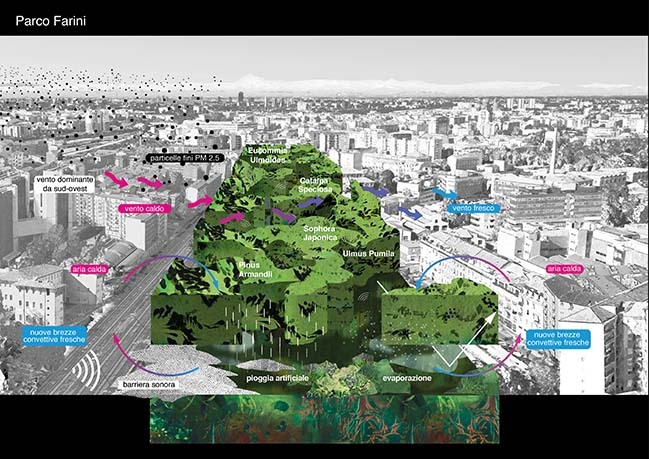 The most valuable currency is no longer ‘brick’ – the built – but rather the climatic conditions that cities will be able to provide and ensure for their citizens. 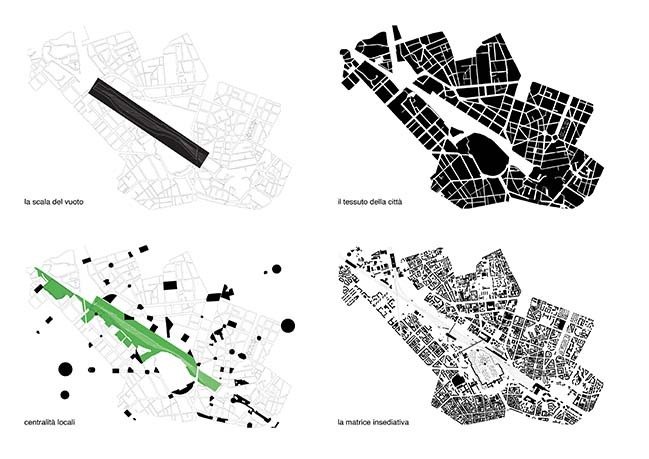 The city of the twentieth century, with its high energy consumption, must be overcome by reconsidering the principles that have marked urban development since the classical era."